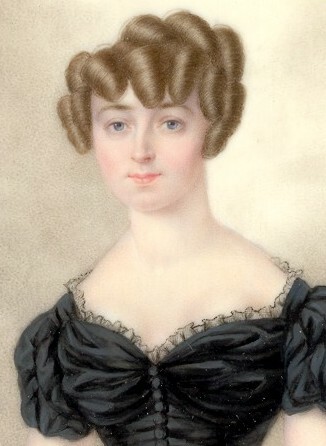 A delicately painted half-length portrait of a young lady fashionably attired in a black short-sleeved dress with a buttoned bodice and narrow waistline. Her brown hair is dressed for the evening in rolled curls. 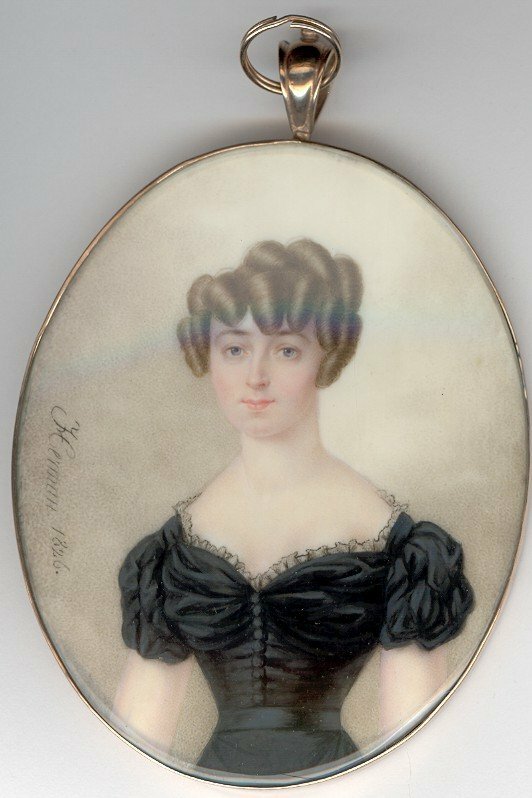 The portrait is signed on the obverse, ‘Herman 1826’ and is presented in a later gilt metal frame with an enclosed back. Fine condition. 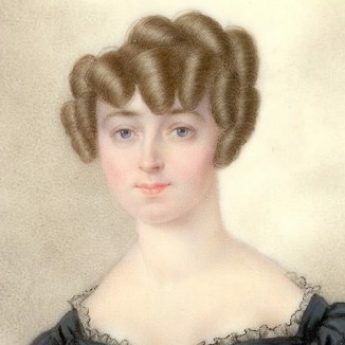 Sometimes spelled Hermann, Louis-Théodore Herman was born in Brussels in 1803 and died in the same city in 1895. He was the son and pupil of Ignance Louis Herman.